How do I add a Kiosk shortcut to my desktop? 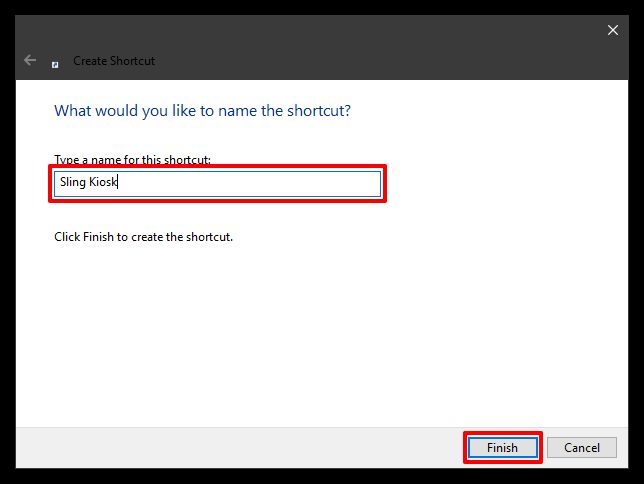 It's possible to create a desktop shortcut for the Kiosk so you can easily launch it at the click of a mouse. This can help you get it set up faster and also bring it back up if your employees accidentally close it (oops!). 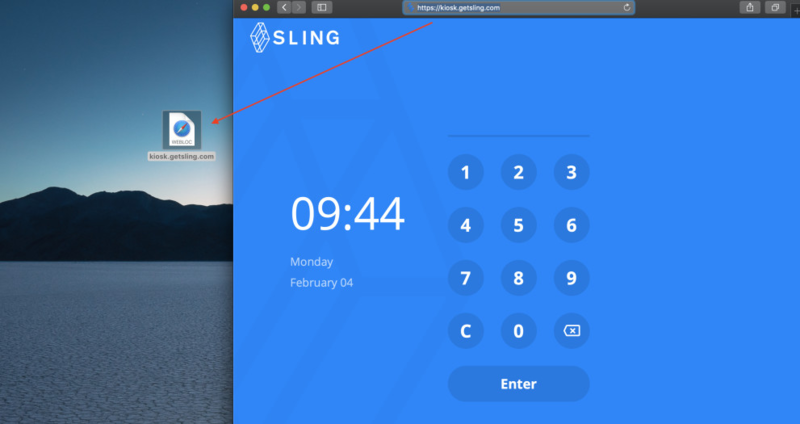 Note that an admin or manager will still need to log in to pull up the clock in screen initially, but once logged in, it should remain active even if the window is closed. *The Kiosk is not supported in Internet Explorer, but it is compatible with Edge. 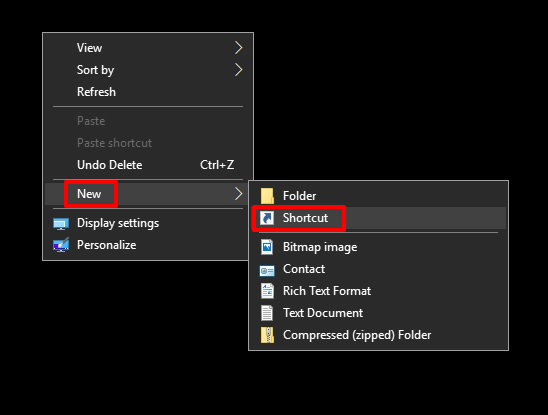 Right click any blank spot on your desktop and choose New > Shortcut. Type https://kiosk.getsling.com into the location field and click Next. The icon will look something like this and will launch in your default browser. Open your web browser and go to https://kiosk.getsling.com. 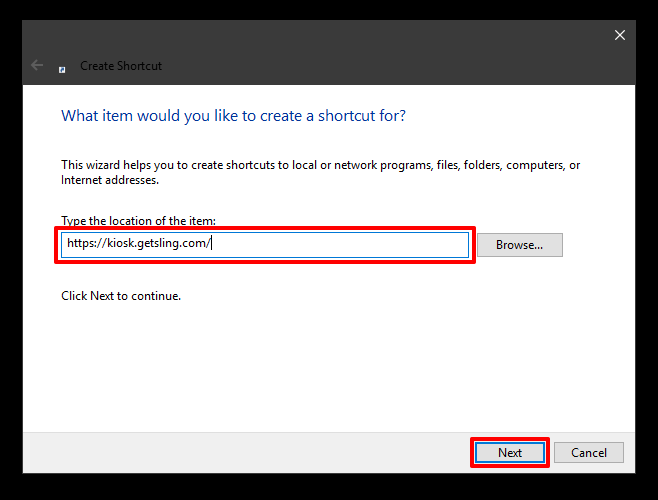 Highlight the web address, then left click and drag it to the desktop. Release your mouse and the shortcut will be added.